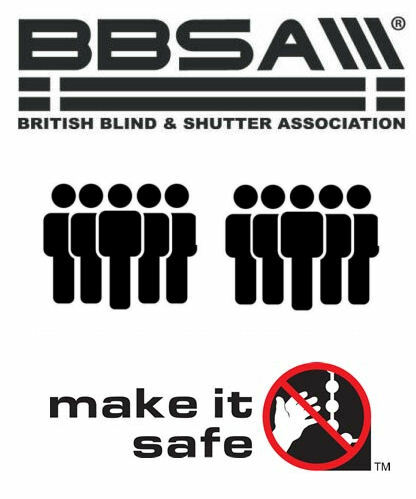 The British Blind & Shutter Association (BBSA), established in 1919, is the principal organisation representing the UK blind and shutter manufacturers and the companies that supply and serve them. The BBSA, with membership of over 400 companies, speaks for the industry and represents it in dealings with UK and EC government agencies and other national groups. The BBSA is the only national trade association for companies that manufacture, supply and install interior and exterior blinds, awnings, security grilles and shutters and associated motor and control systems. Is your retailer BBSA registered? Why should I use a BBSA member? Code of practice - we adhere to the BBSA code of practice to guarantee our products meet a high standard of quality, safety, integrity and reliability. We are committed as a member to ensure our products are fit for purpose and that we are trading in a fair and proper manner. All members of the BBSA - undergo a vetting procedure before admittance. The requirements and vetting procedure include, a minimum of two years successful trading, bona fide business premises, inspection of the applicant’s premises and satisfactory trade references. The BBSA is the only national trade association for companies - that manufacture, supply and install interior and exterior blinds, awnings, security grilles and shutters and associated motor and control systems. Safer window blinds- the BBSA has been instrumental in leading the campaign for safer window blinds via its 'make it safe' campaign.